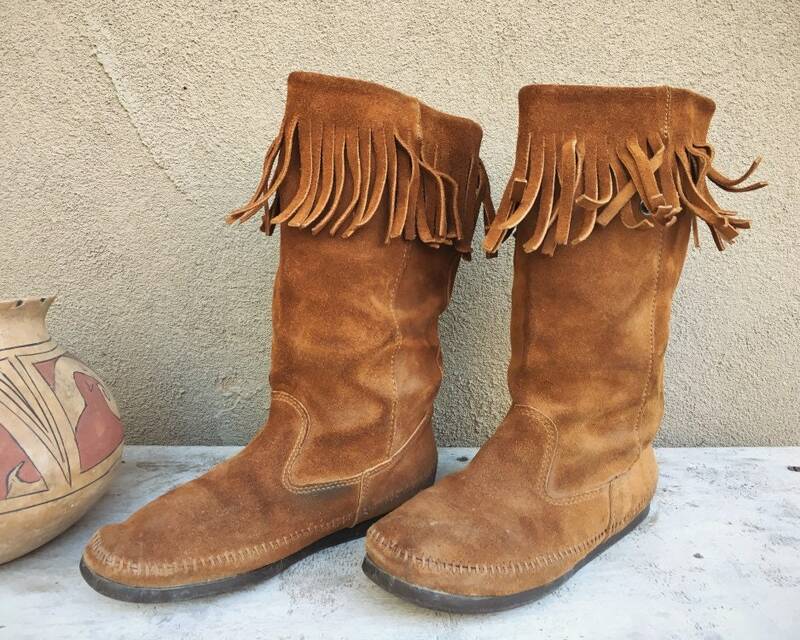 Here we have a pair of vintage tall slip on moccasin boots made by Minnetonka. 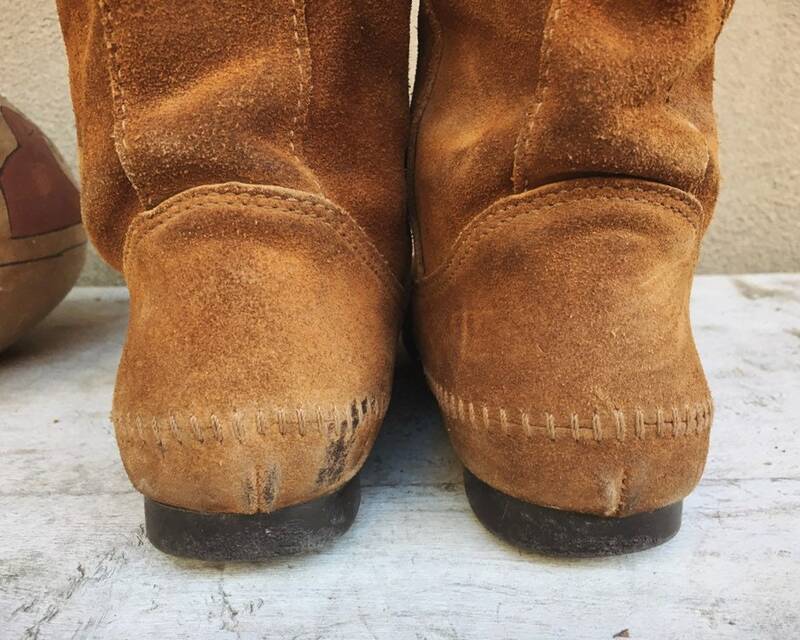 From the look of their hard sole, they appear to have been well used. 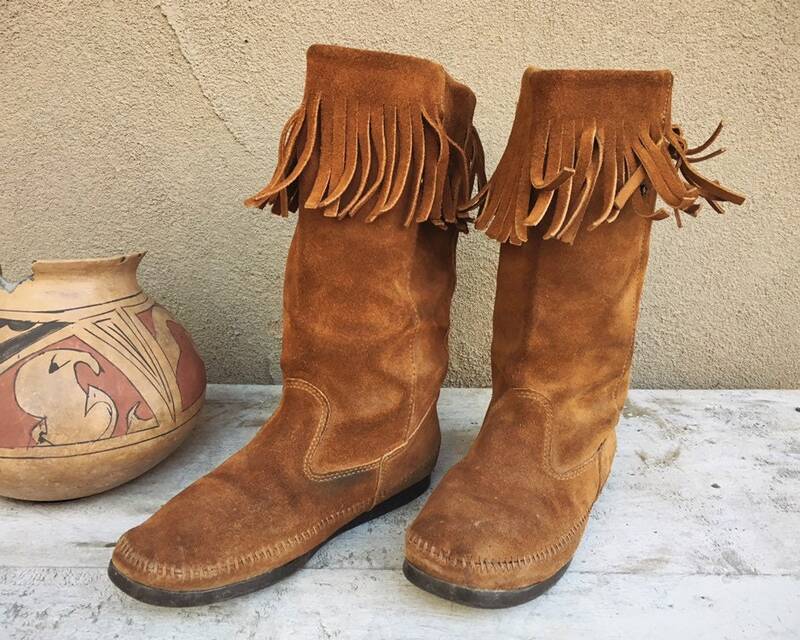 As slip-ons, they have no zippers nor laces, and so for some people it might be challenging to pull on and take off, very similar to how it can be with cowboy boots. 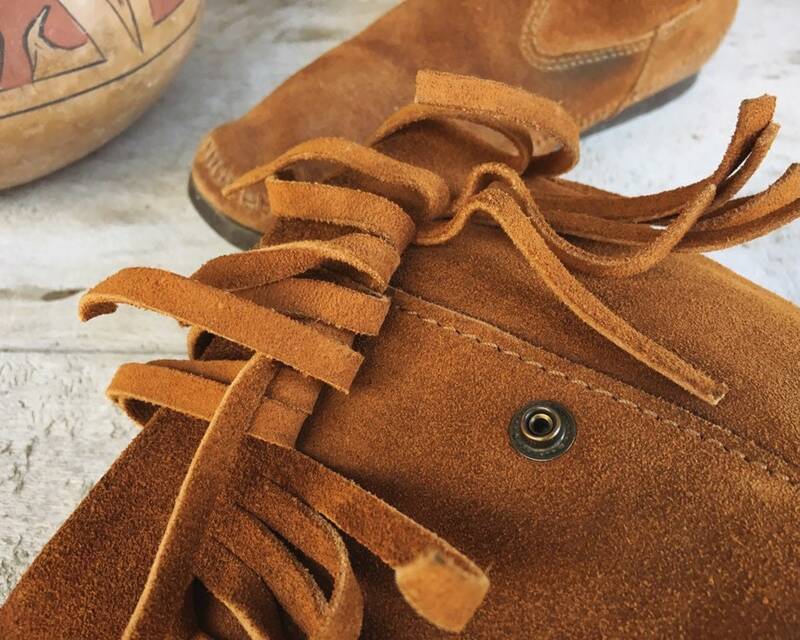 Moccasins are generally very warm and don't need a lot of socks, although wearing a thin sock will help with getting them on and off. 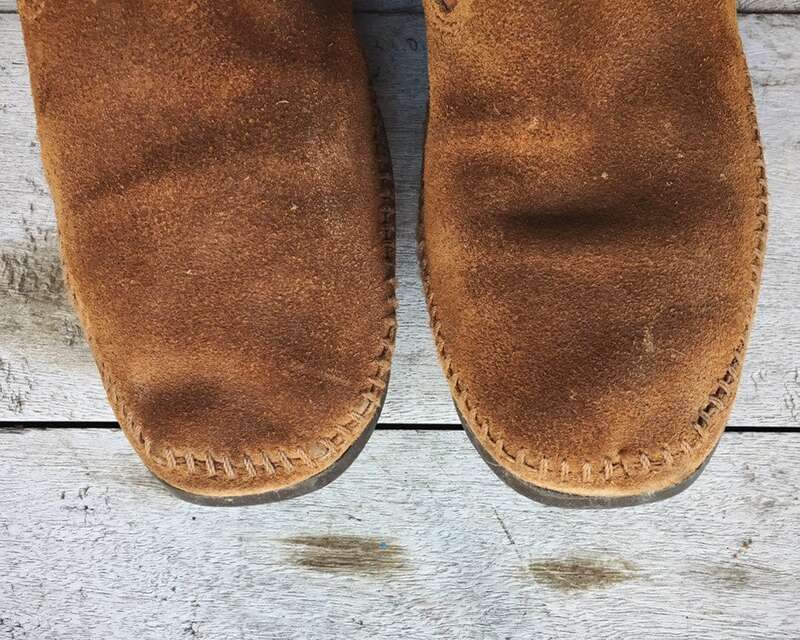 There is a snap on both moccasins that I've not figured out what it was for. I thought perhaps to fold down the top, but that doesn't seem to be possible. All I can think is maybe they each had a concho or embellishment that got lost or separated on each one. 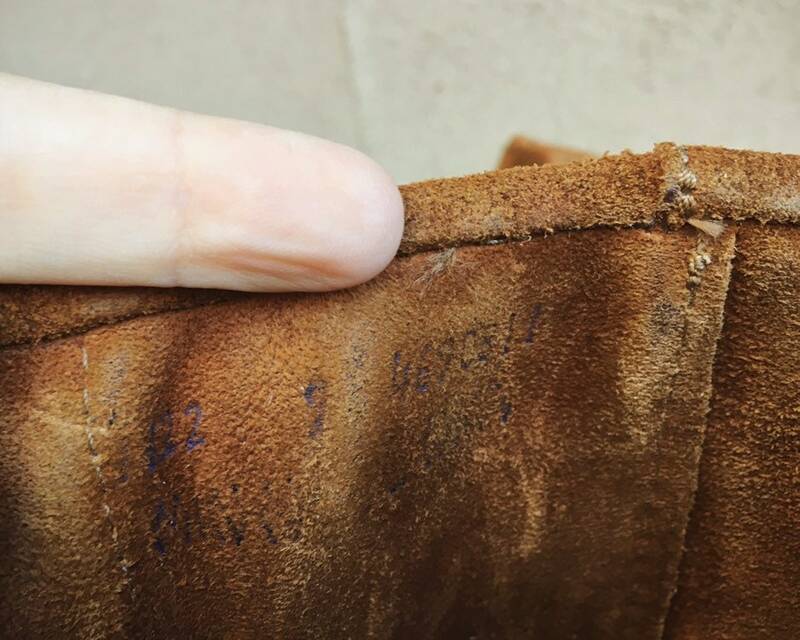 Although super hard to read due to wear, the moccasins are marked Size 9, although they appear to run small, as my Size 7.5-8 foot still has room inside. 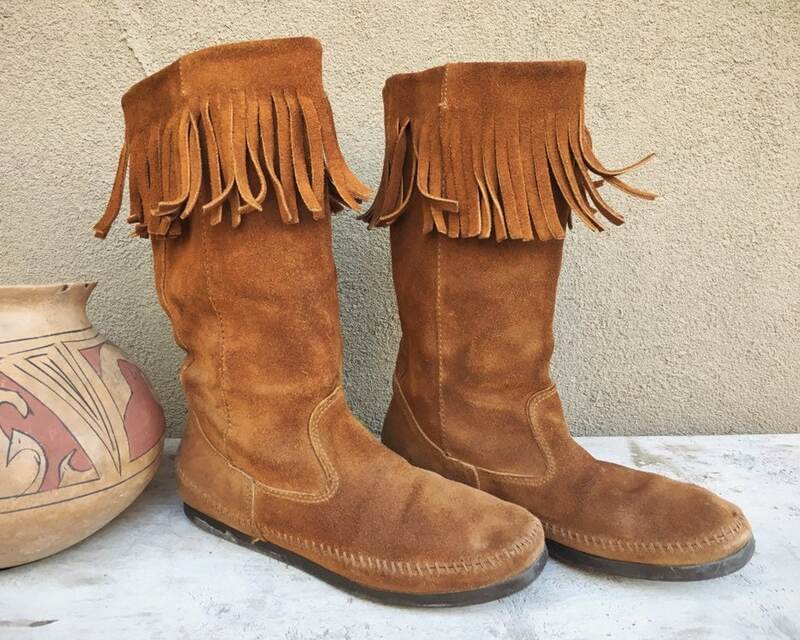 I am guessing they'd be ideal for a size 8.5 foot. The foot bed itself is not too narrow, although again, it is a bit challenging to slip one's foot into the tall shank of the boot. 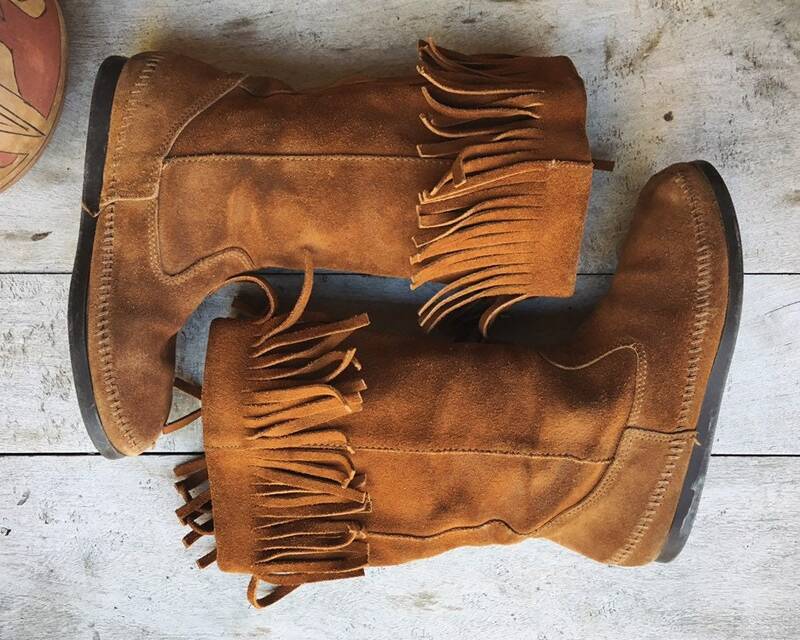 Still, if you want authentic boho style, this boot is for you. 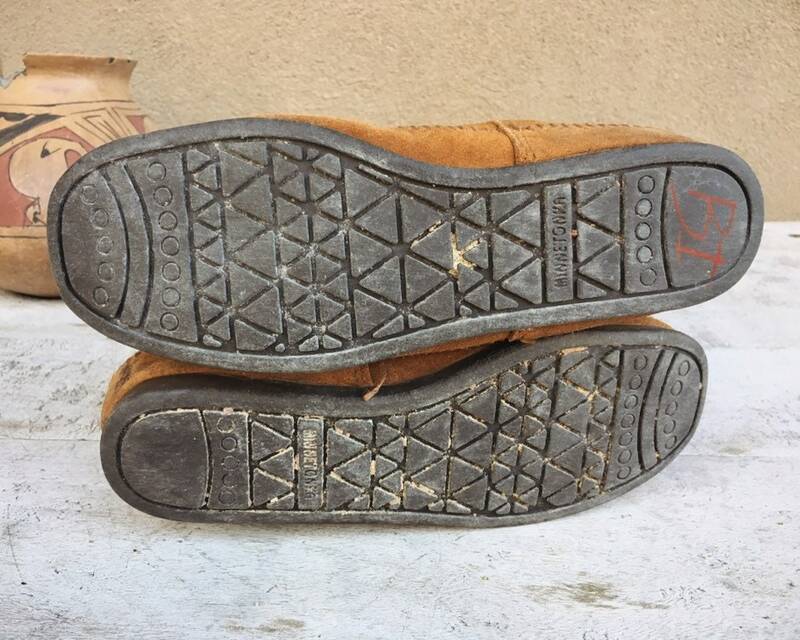 Sole length, heel to toe: 10-1/4"
Sole width, across ball of foot: just under 3-1/4"
Heel width, across back of the shoe: 2-1/4"
Side seam, from the top of the heel to the top of the leather edge: 11-3/4"